Get a huge 40% off. This cord is ideal for use in macrame, shamballa bracelets and creating the intricate decorative knots frequently found in traditional Chinese arts and crafts. 0.8mm diameter Chinese knotting cord is sold on the 15 metre spool. 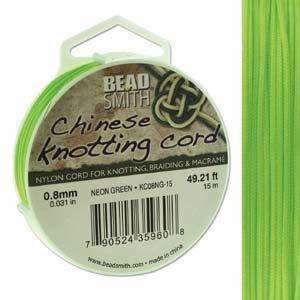 1.5mm diameter Chinese knotting cord is sold on the 5 metre spool.